Wanna have the coolest outfit and win all the Halloween costume contests? 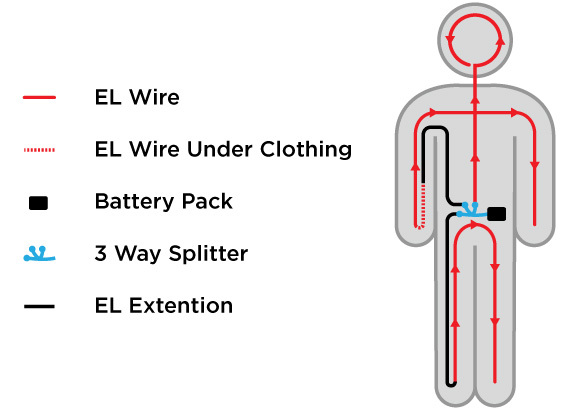 Look no further, here’s what you need to make your own EL Wire glow in the dark stickman costume! Here at Magnet Montreal, we’ve created a special kit which includes every electronic part you need to make it happen. All you have left to choose is the color! It’s simple and fun!